Charter Bus Boca Raton, FL. 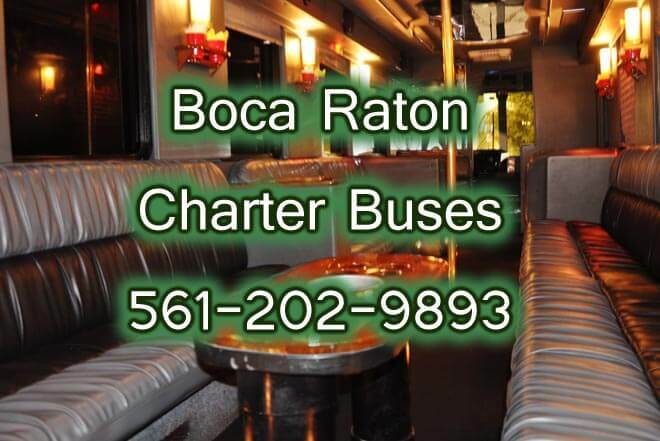 Boca Raton Charter Bus and Mini Buses can be reserved in Boca Raton and the surrounding Palm Beach County area. When you make your reservation through our website Price 4 Limo you will get a quote within 20 seconds and you can check out all of the available charter buses in Boca Raton available vehicles for hire. Make plans for a fun night out on the town to celebrate a birthday, divorce party, wedding, or bachelor party with your friends. Boca Raton mini buses also provide airport transportation service for you and your family or friends as you catch a flight to begin your vacation and when you travel with a large group it makes it easier to have everyone riding in one of our coach buses. Whether you are planning to visit the Amphitheater for a local show to watch and listen to an outdoor concert or local performances from some local bands who are still finding themselves. Get your friends and family out and about at Mizner Park for a day of outdoor shopping and dining, they will definitely enjoy themselves and probably fall asleep inside the Boca Raton Charter Bus. Now if you are celebrating a birthday, bachelor party, bachelorette party, divorce party our spacious and comfortable interior coach buses in Boca Raton are perfect to make it a blockbuster night! When you ride in our Boca Raton Charter Bus it is equipped with surround sound system with IPOD connectivity. Listen to music and watch a DVD with our large LCD Screen TV. As you enjoy the ride the ride just think about the amazing time you are going to have at Hard Rock Hotel and Casino in Hollywood, FL a bit of drinking and gambling as you and your friends party like rock stars. Boca Raton Charter Buses provides transportation to Boca Raton Airport or Ft Lauderdale Airport where you can everyone getting to the airport on time to catch a flight or if you are in need of a pickup we have you covered. Have your bride-to-be arrive with her bridesmaids on time for the start of the wedding because no wedding starts without a bride. With Boca Raton mini buses you can sit between 20-32 passengers inside the vehicle. Even with a large LCD screen TV on the bus there is still plenty of room. Make your plans go without a hitch when you reserve a mini bus in Boca Raton. Plan a Boca Raton transfer to Port Everglades with your friends or family and have us provide you transportation service with our Boca Raton mini bus. Make plans for a beach side wedding, a flight at Ft Lauderdale airport, or take a cruise at Port Everglades. No matter what your decision is having the right vehicle for transportation is important. With our professional chauffeur service we provide you with a safe ride whether it's going to be a short travel or a long trip to Ft Lauderdale or Miami. 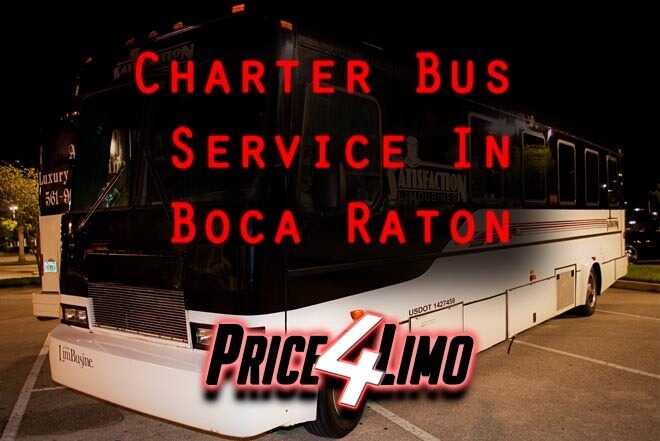 Boca Raton charter bus and mini bus can be reserved on our website Price for Limo for any occasion like a birthday, wedding, night on the town, and much more. Plan a corporate event, a trip to the beach, or just need a ride to the airport. 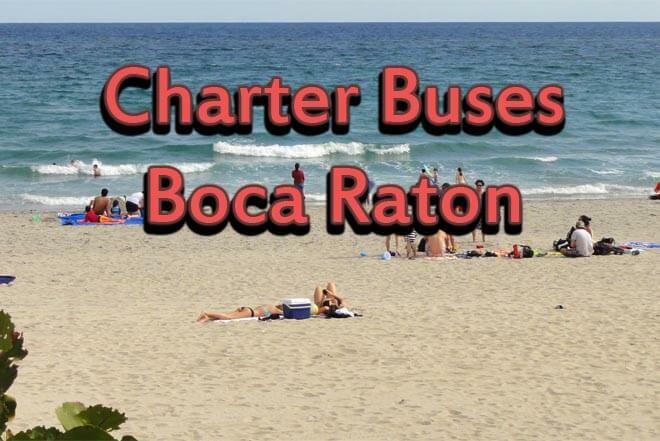 Boca Raton charter buses are primarily available for large groups with around 50 passengers. 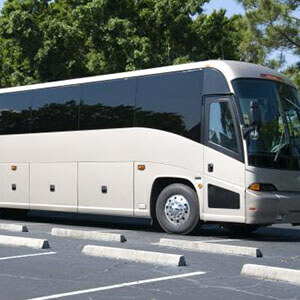 When you plan big you plan with one of our Boca Raton coach buses. Enjoy the interior and spacious seating as we get you to your destination whether it's a short ride or a long ride we have you covered. Whether you need a one way ride to your destination or an hourly rental Boca Raton charter buses will be ready to take you to your destination.